Create a full look with this enviously comfortable Misses Knit Sweater, Infinity Scarf, and Headband pattern. Sweater features an open front with side pockets. Sized for stretch knits only. 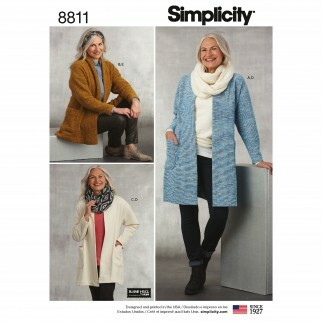 Elaine Heigl Designs for Simplicity.